To keep things from being an unremitting stream of holographic polishes, I’m spicing things up with a douchrome today. 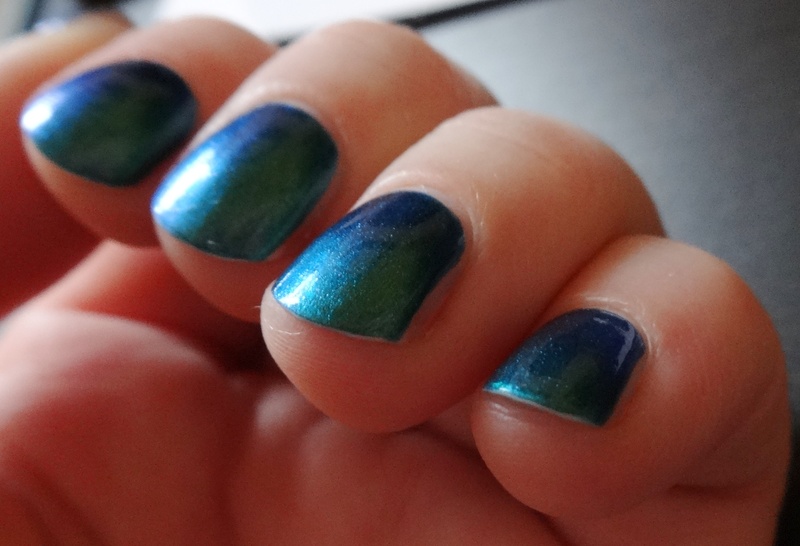 What we’ve got is the blue-green douchrome (with a bit of violet in low lighting) from new favorite brand I Love Nail Polish called “Washing Ashore”. In addition to the shiny douchrome color, there’s also an added bit of sparkle in there. In terms of viscosity, this polish was on the thinner side, but nothing that got in the way of my nail-polish-applying-and-wearing enjoyment. It was every so slightly patchy on the first coat, but perfectly opaque on the second. 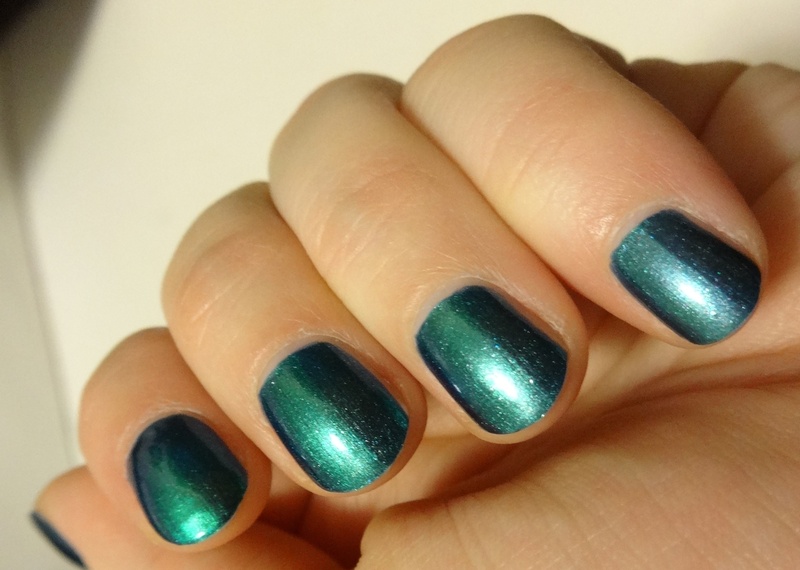 Chrome-y polishes can sometimes get streaky, but the finish on this is streak-free and forgiving of unsteady hands. This is a delightful polish to wear, and very distracting. Wear time was good, with no chipping. I wore it for about a week on vacation, and it miraculously survived me running around and being crazy (most nail polish is no match for my luggage and me). 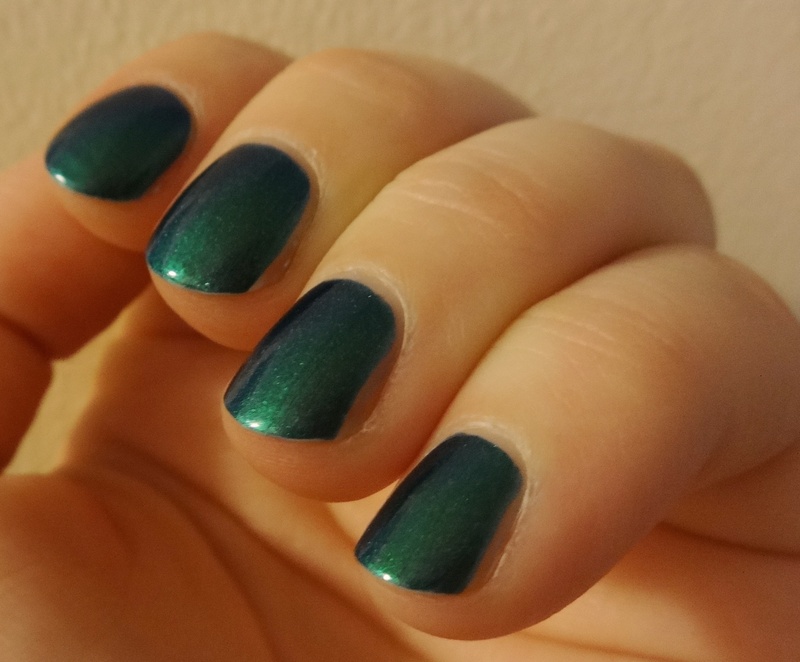 In all of the pictures, I am wearing two coats of Washing Ashore and one coat of HK Girl top coat. 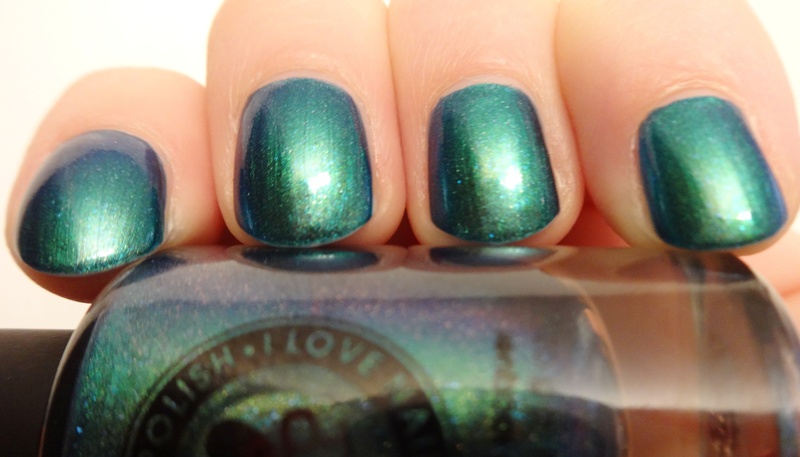 You can buy this beauty conveniently at the I Love Nail Polish online store for $12.50. I also suggest that you check out their Facebook page- it looks like they’re teasing some new colors that may be coming out soon! I’ve also seen some really extraordinary stamping nail art done with the ILNP ultrachromes, and I can’t wait to try some myself. I never really got into the whole duochrome craze, but it looks lovely on you! Thank you! 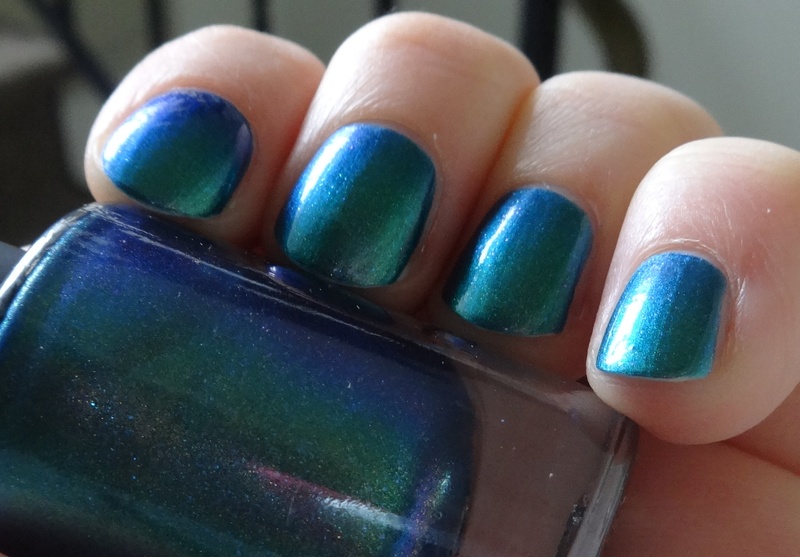 I wasn’t into duo/multi-chrome until I saw the ILNP ones, and then I was drawn in by the holo and sparkle colors. I have to say that the Ultra Chromes with holo really don’t disappoint!